ThemeParkMama: Peacock, Gold Kili, Averna, and much much MORE! Peacock is a Singapore-based food company. Peacock is a gluten free brand giving people more options. Peacock was established in 1950 and soon became a global market in 2009 Peacock reached the United States. Peacock is all natural, GMO free, gluten free, 100% fat free, has a low glycemic index and certified Hala! that is a lot of great things from Peacock. Peacock has 5 products which taste great, Brown Rice, Rice Spaghetti, Basmati Rice, Rice Vermicelli and another type of Brown Rice. I love the Peacock brand because it is a better option for my family. Peacock products cook faster to which means less time cooking and more time eating. Peacock is also full of flavor allowing for little of your own if needed. Check out all the Peacock products by clicking here. 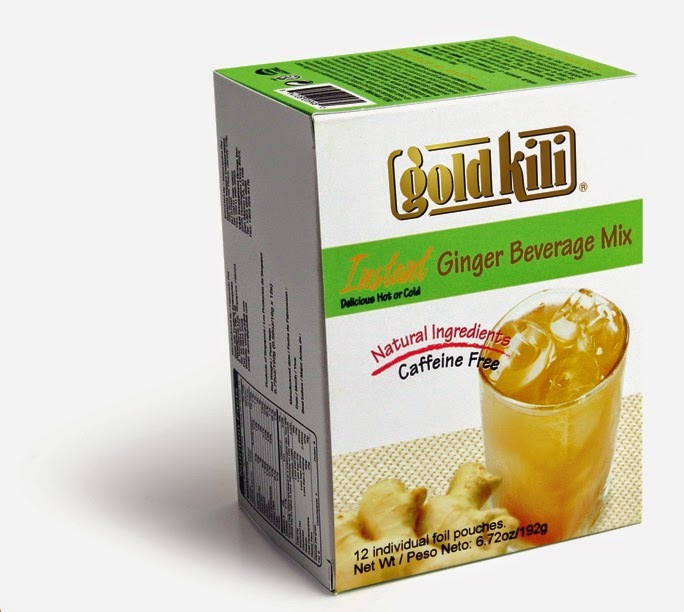 Gold Kili embodies over two decades of great tasting instant beverages. Gold Kili started in 1985 as a local coffee powder manufacturer and distributor. Now, Gold Kili has a great selection of instant beverages which includes their ever-popular Instant Honey Ginger and Instant Honey Chrysanthemum. Gold Kili continuously invests in proprietary, hygienic and modern manufacturing process to preserve the fresh taste and flavour of the natural ingredients used for all their instant beverages. Gold Kili takes pride in putting the consumer first when aiming to satisfy the preferences of of the ever growing market. Gold Kili is a powdered based wake me up. Simply added Gold Kili to your favorite coffee and automatically feel yourself come alive. You can see all Gold Kili has to offer by clicking here. Partida Tequila in both anejo and blanco. Partida Tequila has a great taste which can be mixed in any drink or can be a smooth shot with little burn. Partida Tequila is made in Mexico so you know your getting some good stuff. The Partida Tequila is 40% alcohol. I personally love to mix it in with orange juice, I can drink it fast and enjoy the rest of the night. The makers of Partida Tequila use only the best when making their Tequila, they wait til the Agave is mature and tall to harvest it, they cook it "the old fashion way" which makes for a better flavor and they let everything age longer, so the flavor really sticks. You can find out more about Partida Tequila by clicking here. Averna Amaro Siciliano this drink you can get into some trouble : ) Averna Amaro Siciliano is a great drink all on its own. It's super sweet and taste absolutely great. Averna Amaro Siciliano can be mixed with creamy drinks like ice cream, milk, coffee, to make that perfect mudslide. Don't let the botttle fool you with 29% alcohol because it taste great its much easier to drink more of, without noticing. You will truly enjoy a shot or 2 of Averna Amaro Siciliano. To learn more about Averna Amaro Siciliano click here. G'Vine Gin great for a Martini. G'Vine Gin is a gin made of white grapes. It taste great and has 40% alcohol in it which makes for a really smooth taste. You can taste the grape so its a nice blend of bitter and sweet. G'Vine Gin mixes well with other liqueurs and clear color drinks. It taste great with drinks like Sprite or 7up at least I personally love it. You can learn more about the G'Vine Gin by clicking here. Sapporo Premium Beer's are a great tasting beer which has a great hops taste to it. You can purchase Sapporo Premium Beer also in light which has less calories as the original but taste just as great. Sapporo Premium Beer is made in Japan and has been around since 1876. Sapporo Premium Beer is the perfect beer to pair up with steak, hamburgers, and well everything. Sapporo Premium Beer even has a whole webpage of fun recipes which you can make and really get the most out of your beer experience. You can see these recipes by visiting the Sapporo Premium Beer here.